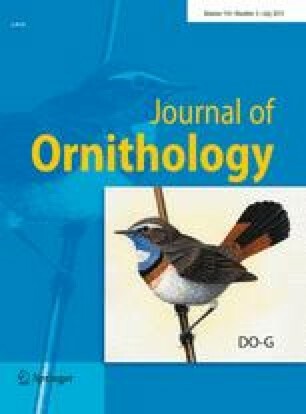 Territorial songs in island populations of songbirds are often highly divergent from those of neighbouring continental relatives. This is shown for the three goldcrest subspecies (Regulus regulus azoricus, R. r. sanctae-mariae and R. r. inermis) endemic on six islands of the Azorean archipelago. All investigated populations display a high intra- and inter-individual acoustic variation. On each island, up to six different song types have been found; and a single male sings up to three types. In contrast, all northwestern European populations of R. r. regulus and R. r. anglorum share only a single song type. In playback experiments, none of 18 tested dialect songs of Azorean goldcrests evoked notable territorial reaction in German and Czech goldcrest males (ssp. regulus). Two differing dialect groups of the goldcrest can be distinguished on the Azores. Populations of the eastern islands, São Miguel and Santa Maria, share common song types which are not found on the islands of the central and western groups. Dialect repertoires on the westernmost islands, Flores, Faial and Pico, are dominated by a different song type. In the geologically younger western crater of São Miguel, both western and eastern song types coexist. Acoustic similarities to a population from neighbouring Terceira suggest the western part of São Miguel as the origin for the westward expansion of R. regulus on the Azores. This paper results from two expeditions to the Azores in 2000 and 2001. Travel funds have been granted by the Forschungskommission, Deutsche Ornithologen-Gesellschaft (M.P.) and by the Feldbausch-Stiftung at Fachbereich Biologie of Johannes Gutenberg-Universität Mainz (J.M.). M. Starke accompanied M.P. to the Azores in both years. A. Baumgart, M. Melcher and S. Schick assisted during field work in the Czech Republic in 2001. Richard Ranft, National Sound Archive, London, provided recordings from various European R. regulus populations. We thank all the many friends and colleagues involved in this project. This paper is based on results of the PhD dissertation of M.P. (Fachbereich Biologie, Mainz University).